The fastest way to manipulate Revit families and make consistent changes to materials and parameters programmatically. The fastest way to update your Revit families programmatically. The safest way to protect your Revit Content from unauthorized use. 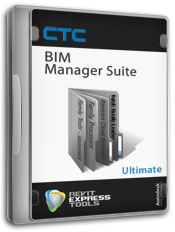 The #1 file management system for Revit. The fastest way to remove all revision clouds, both visible and hidden. Easily automates the process of loading new or updated family files into your Revit Models. For other family management add-ins, click here.